In 2018, Elgin Energy launched a pilot scheme on a Kilkenny dairy farm. The project was developed in response to enquiries from leading dairy industry bodies about the use of solar PV alongside dairy production. In addition, we wanted to demonstrate the role solar PV can play in reducing both emissions and electricity costs on farms. We partnered with Activ8 Solar Energies to install the 11kW project. The entire installation process including cable route trenching, installation of the structure and grid connection took three days. Installation of the structure and solar panels took only one day. At the time of installation, it was estimated the project would provide savings of 20% on the farm’s annual electricity bill. Data has been gathered and monitored since the project was energised in June. We examined data from July – December 2018 as we had data for complete months. The project overperformed significantly across the summer months especially during the heatwave in June/July. 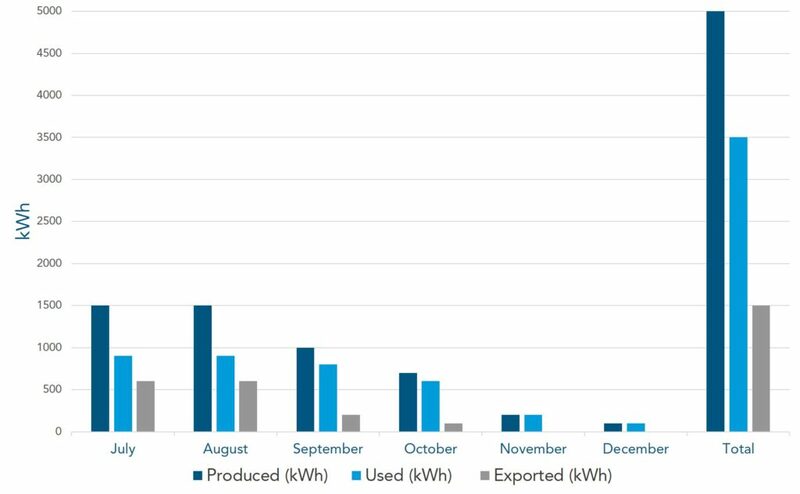 As you can see from the graph below the installation produced 5000kWh in six months. 3500kWh was used on site and 1500kWh was exported to the grid. The project supplied 10% of the farm’s total demand in six months and is on track to supply 20% in one year. We have compiled a case study on the project to share information with farmers / small businesses who are looking to invest in low carbon technologies. In March 2019, the Department of Agriculture, Food and the Marine pledged an investment of €10 million via the Targeted Agricultural Modernisation Scheme (TAMS II) grant scheme to fund on-farm renewables. This announcement demonstrates how integral decarbonisation of Irish farms is to achieving national climate change targets. Applications can be made under the next trance of TAMS, which opened on Friday 5 April 2019. 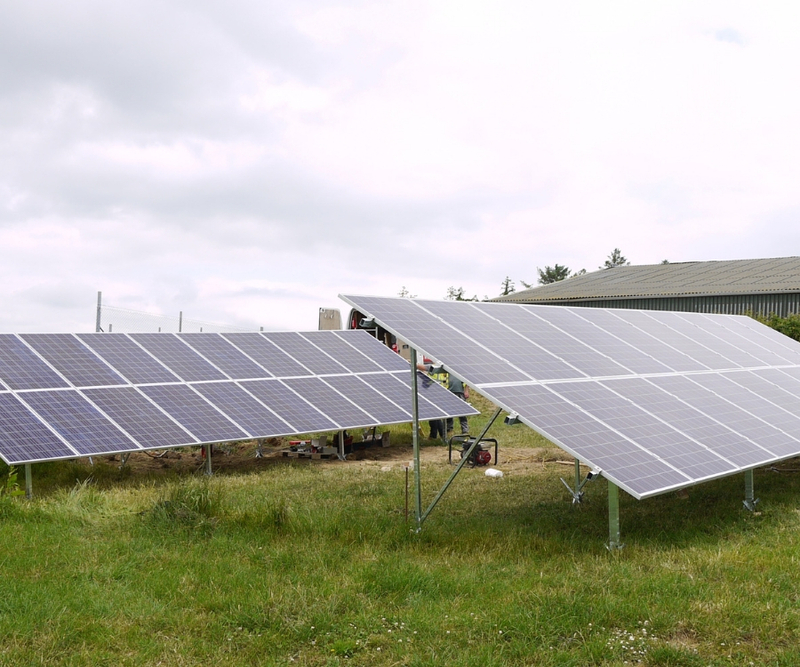 Grant aid in the pilot phase will be available for 40% or up to 60% in the case of qualified young farmers to fund the cost of a 6kWp solar system. You can view or download the case study below. If you would like to enquire about an installation for your farm or business, please get in touch with Activ8 Solar Energies. For mobile devices, please view the case study here.